Part of the annual series of lectures organised by the School of Humanities. This year's Stonewall Lecture will be given by Professor Bruce Smith, University of Southern California. 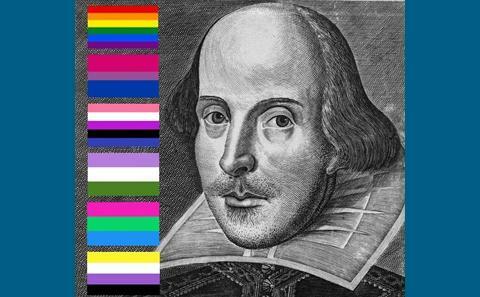 ‘Queer Shakespeare’? At the time of the Stonewall Riots in 1969 most people would have answered such a question with an astonished ‘What?’. ‘Queer’ was a slur, and Britain’s national bard could not possibly have been one. Fifty years on, the term ‘queer’ has taken on personal, political, and analytical power. From an adjective with a broad meaning, and a noun with a quite specific meaning, ‘queer’ is now a verb. ‘To queer’ something is to question its status, to probe, to reevaluate. In this lively lecture Professor Bruce R. Smith will explore the stages and vagaries of this transition in the meanings of ‘queer’. Special attention is given to the ambiguous status of ‘Shakespeare’. That word can refer to four things: (1) the historical person who was born and died in Stratford-upon-Avon, (2) the body of work he produced as a playwright and poet, (3) the author that we imagine as we read those plays and poems, and (4) the cultural icon that ‘Shakespeare’ has become. Each of these entities can be the object of the verb ‘to queer’. The lecture will be followed by a charity collection for Stonewall. This event is free however you must register to attend and receive joining instructions. To register follow the booking link above, book soon to avoid disappointment.